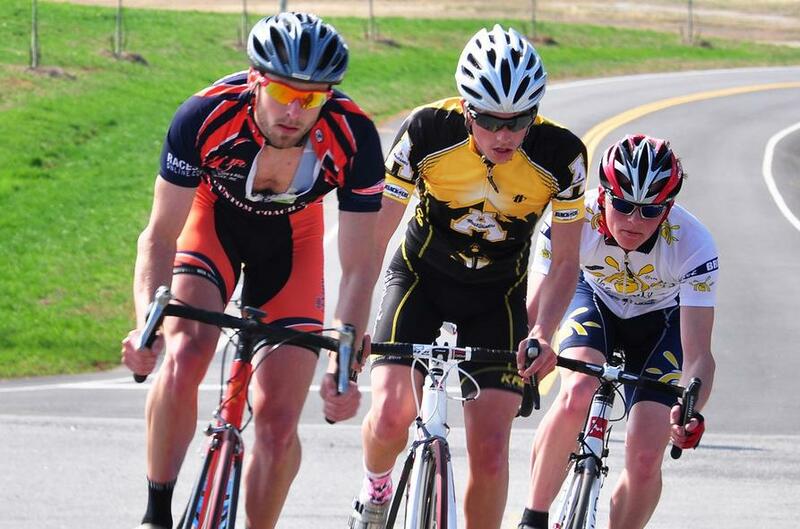 In today’s Blythewood, SC Spring Omnium, James grabbed another win! It was a 30 mile circuit race, mainly on flat, technical streets with a short 1.5 minute climb then a 400 meter flat, straight shot into the finish line. Coming into the last lap, James was sitting in the third spot as the lead group crested the climb. He punched it over the top to lead out the long sprint. The chase was on, James is in the lead, the rest of the Cat 4 field is pounding their pedals in frustration. James moves well clear of the field to grab the win! This marks his second win this season bike racing, out of two races, and it was his last race as a Cat 4. Congratulations to James on notching another win and getting more then enough points to upgrade to Cat 3.